Today’s travel agents are no longer mere booking intermediaries. They have become trusted advisors — akin to financial planners and CPAs — who make the overall travel experience better and provide both leisure and business travelers maximum value for their travel dollar. The term “advisor” not only more accurately describes the value our members provide to consumers but also serves as a distinct declaration of who we work for: the traveling public. The key message shared with journalists was about the vibrancy of the agency industry and the tremendous value that travel advisors bring to travelers, our supplier partners and to the industry at large. We have entered a Golden Age of Travel and the professional travel advisor plays a vital role in fueling that growth and cutting through the complexity. Also, at a recent New York Times Travel Show, several of executives and advisors did an outstanding job representing unique travel brands and making a strong case for the value of the travel advisor in today’s marketplace. The holiday season is already upon us. Is it just us, or did this year go by really fast? The winter holidays are an incredibly popular time for travel. A lot of people are of course headed to see family, but others are looking forward to hitting the slopes or escaping the cold to hit tropical beaches. Everyone has their reasons and destinations, but with children out of school and most companies already giving at least a couple days off, this is a great time to take a decent vacation without having to use a lot of vacation days. There are a few drawbacks to holiday travel. Rates go up on nearly everything from airfare to hotels. Roads, airports, resorts, and popular destinations are usually quite crowded. These challenges may be holding some of your potential clients back from making the leap. Here are a few tips you can offer them to help them feel more excited to book a trip with you. Be sure to emphasize how you can help ease many of these stresses. Be ready. Hiccups are almost inevitable with holiday travel. Psychologically preparing yourself for some sort of mishap will make it much easier to roll with. We are not exactly suggesting pessimism, but rather acceptance. If you acknowledge this is a busy and hectic season and feel ready to roll with the punches, you are less likely to get all stressed out if it happens. This is a great time to remind your clients they can count on you to fix their problems. Be prepared. A lot of stress can be avoided by being properly prepared. Make lists of all the things that need to be accomplished before traveling, and work on marking things off each day. Ensure gifts are bought and shipped well ahead of time. Make arrangements for house or pet sitters. The night before leaving put a morning checklist in a place you are sure to see it. Nothing like getting five miles down the road only to realize you forgot your passport or trying to check your flight status only to discover you forgot to charge your phone. Be sure the phone is charged and that you have all the travel apps you need installed and ready to go. Put the charger in an easily accessible location. Print your boarding pass before you leave. Have all you need for an overnight in your carry-on in case you get stuck. If you are traveling with children, be sure you have tablets charged, favorite toys, books, and art supplies. No one likes hassles and delays, but you can minimize the suffering by being prepared. Be early. Bad traffic, bad weather, and long lines are all likely during holiday travel. One of the easiest ways to avoid stress is to give yourself plenty of time. If you luck out and avoid all three, you have a little time at the airport to read a book or have a drink. Be flexible. Sometimes it is not possible, but avoiding heavy travel days will help with both costs and traffic. If you are willing to travel on Christmas Day, you can often save a lot of money and have whole chunks of the airport to yourself. Traveling early in the morning or late at night will also help. Be smart. There are a lot of ways to save time and money on holiday travel. Of course, as an independent agent, you know that, but your clients may not. Show off your knowledge and let them know you can help them find package deals for the holidays, check alternate airports for better deals or shorter lines, and help them get awesome sightseeing passes that will save money, as well as time in lines. With a substantially higher chance of weather delays and cancellations, direct flights are often worth the extra cost. When they are not possible, longer layovers are a good way to ease the stress of delays. Taking a Lyft or Uber to the airport is an easy way to save time since parking garages and lots are regularly overflowing during the holidays. Share the tips in a way that really highlights how you can be of assistance to others in planning their travel. People are extra busy right now, so showing them how you can save them time and hassle is invaluable. Showing off what you know and can offer regarding some of the hottest holiday travel destinations is also enticing. 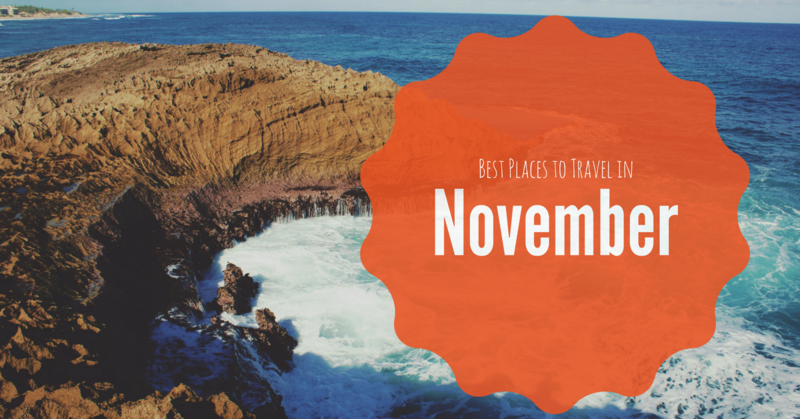 Here are ten popular holiday destinations for a variety of different tastes. Puerto Rico. Sun, sand, culture, warmth, and no passport. New York, New York. Incredibly festive and fun for those who like cold. Park City, Utah. Several really fantastic ski resorts as well as Sundance. Cartagena, Colombia. December begins summer in this beautiful beach town with gorgeous architecture. Chiang Mai, Thailand. Beautiful weather and scenery and also incredibly inexpensive. Breckenridge, Colorado. Really nice skiing along with a charming town and even hot springs close by. Tromso, Norway. For those who really like cold. Picturesque winter far in the arctic circle with a good chance of seeing the northern lights. Rome, Italy. See Rome with fewer tourists and less heat. Tulum, Mexico. Warm, beaches, ancient temples, and fabulous people. 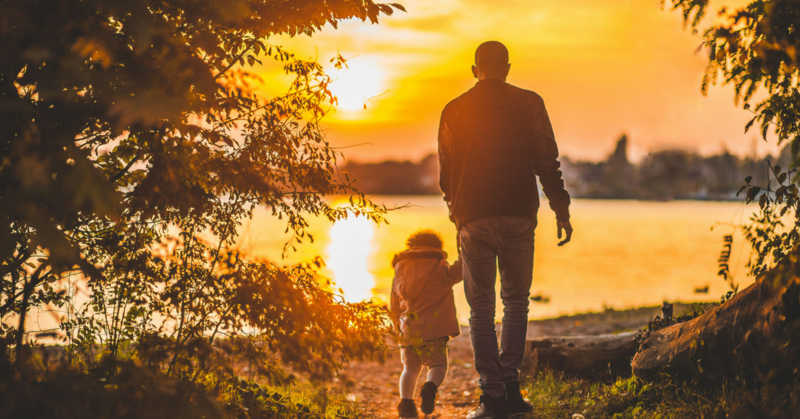 Entice people with fantastic escapes and family time then seal the deal by sharing all the ways you can help them save money and avoid the hassle. Happy Holidays! A host agency isn't a travel agency, nor is it a supplier. A host agency is an organization of travel agents. They provide the proper resources for the price of a monthly fee or commission split. Host agencies offer travel agents guidance, tools, and training to keep up with the ever-changing multi-billion dollar travel industry. A host agency is sort of like your compass, giving you a sense of direction. When deciding on a host agency, it really comes down to the support and resources the company offers. It's also important to assess what your needs are as a travel agent. If you're new to the industry, you may need an agency that offers more training and support options. If you are a more seasoned travel agent, perhaps you are simply seeking access to proper commission overrides. Training. The agency you join should have a training program. Even if you have prior experience, going through training will ensure you are up to date with the latest standards and practices. Support. Your host agency should be there for you every step of the way. If you have any questions or concerns, our team at Outside Agent Link is there for you seven days a week. We also have a private Facebook page where other agents are encouraged to ask questions and share their experiences. Resources. This couldn't be any more important. The resources available can make or break your work as a travel agent. No matter how wonderful your customer service is or how reputable you may be, without the proper deals and booking tools you're incapable of keeping up with competitors. 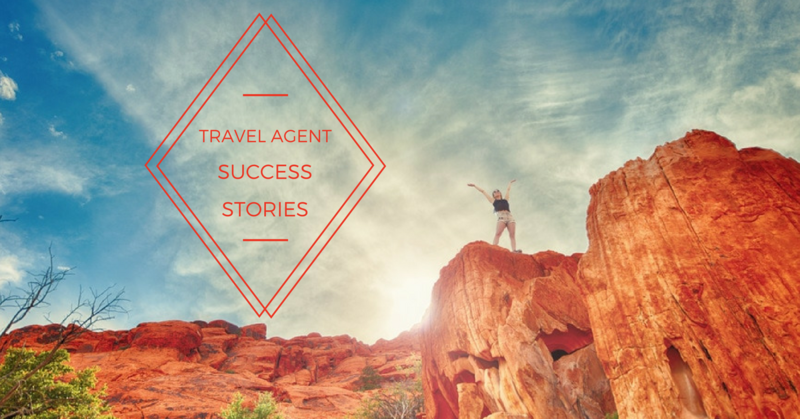 A successful travel agent will have the latest booking technology and marketing solutions. Outside Agent Link provides comprehensive online booking systems, custom flyers, promotional material, as well as access to Travel Leaders Network Promotions and Agent Incentives. Networking. One of the benefits of working with a host agency is the marketing and networking opportunities. It's not uncommon for agencies to have forum boards or Facebook pages to connect other travel agents to each other. Outside Agent Link matches agents with leads through the Travel Leaders Network's national website. Experience. Not only should your host agency be able to provide you support from first-hand experiences, their pre-establishment should open the floodgates for access to various travel offers and promotions independent agents aren't offered. The host agency's partnership with airlines and other services will also allow you to take advantage of lower start-up costs. Coverage. It's always better to be safe than sorry. The agency should have an insurance policy that covers any possible issues. 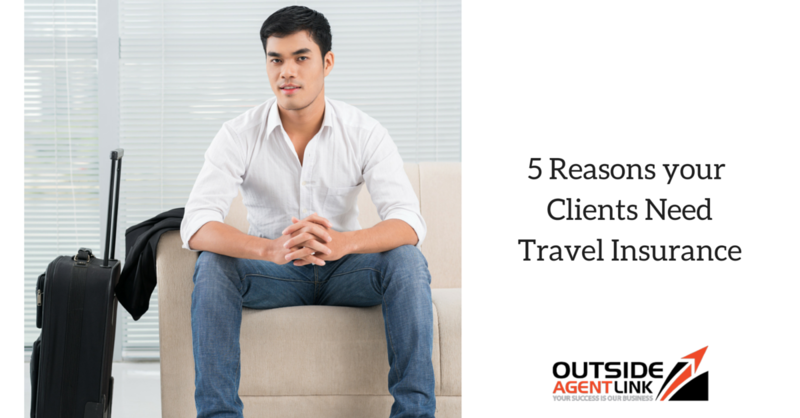 A host agency isn't a travel agent or travel supplier, it's more like your partner. Working with a host agency is the easiest way to get your travel business off the ground or expand your pre-existing practice. They will provide you support, training, marketing solutions, networking, coverage, and access to the latest technology. Outside Agent Link has been proud to offer our services to travel agents for over 20 years. We are a subsidiary of Thomas Hogan Travel, which is associated with one of the largest travel franchise companies globally, Travel Leaders Network. Our staff is made up of well-rounded industry experts with first hand travel experience. Outside Agent Link is there for our travel agents every step of the way, happily supporting you and your growing business. Stay up to date on the latest travel industry trends, professional insights, and more over on our blog. To learn more information about Outside Agent Link, our services, programs and more, please contact us. When 'Travel Agent' first became a profession, planning a complete round-trip vacation was incredibly difficult. Airlines, hotels, and entertainment venues had to be called personally and reservations made one at a time. The value of having a professional who could put together a coherent and enjoyable trip was undeniable. Needless to say, times have changed. With the rise of online booking sites both for trip-planning and individual venues, most people plan their travel with a few clicks of the mouse. So why, then, are travel agents still a thriving profession? And why do your clients choose to hire a human travel agent when they could simply plan their vacations and business trips through an online platform? The answer is simple: The value of human creativity, personalization, and problem-solving. 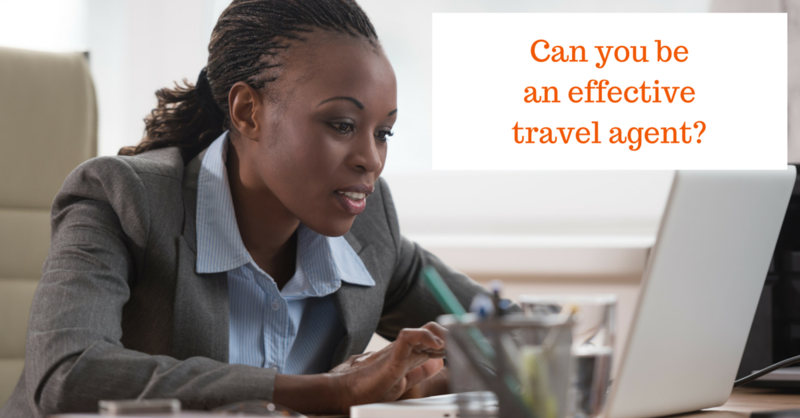 As a travel agent, you are more than just a time-saver for your clients. Quickly booking a room and a flight now takes less time than talking to a travel agent, describing the trip they want to take, and collaborating through the planning process. This means that your clients are looking for more than just the convenience of not planning trips for themselves. They are looking for the value of having a real human mind behind their travel plans, someone who has the time and dedication to not just book a room, but to make sure they have a great time from the beginning to the end of their trip. The most important thing a travel agent can offer is personalization, the ability to understand your client's idea of a perfect trip and to see the big picture when planning their travel experiences. Automated services can't understand how to help clients reduce jetlag symptoms with careful scheduling, the needs of their small children, or the importance of having a working desk and wifi connection at every point during the trip. You can. Modern travelers seek the help of travel agents when they care more about the quality and details of their trip than quick and easy booking. They would rather spend half an hour describing their priorities and what an ideal trip is like for them so you can make it happen than get a mediocre trip for a 'few clicks'. Only you can make sure their trip, including restaurant reservations, theme park tickets, and transportation, are all perfectly booked to suit their needs. Travel agents are also wizards at finding opportunities that automated booking sites would never consider or offer. Because you put your creative mind to the task of creating the ideal vacation or business trip, you know how to look for fun activities or convenient opportunities your clients will love. Perhaps there is a local fair in town when your clients are vacationing with their kids and you arrange for them to have two hundred tickets waiting for them at the entry stand. Or there is a charming local trolley between their office building and hotel that is both more enjoyable and affordable than hiring a car. Your creativity and opportunism on behalf of your clients are one of the reasons people in the know have relied on travel agents for decades to plan a better vacation than they ever could. Another great benefit of working with travel agents is access to insider discounts. Unlike your clients who travel rarely, you are constantly in touch with airlines, car services, hotel lines, and local attractions. Not only can you connect your clients with the best dates, rooms, and services for their needs, you may also be able to get them reduced prices because of the number of airline tickets or reserved dinners you book in a year. You may have contacts who get in touch with you about discount opportunities because you talk so often or be in the loop on travel communities that share timely discounts with each other on a regular basis. And your clients love when you pass savings onto them that they never could have found on their own. Finally, there is your irreplaceable value in the event of a travel emergency. Let's say your client's flight is canceled, their hotel denies their reservation, or their driver never arrives. What could be a terribly stressful disaster for someone planning their own travel turns into a quick reassuring phone call to you? From the comfort of your travel office, you can book them a new flight, sort out the confusion with the hotel, or track down the missing driver while allowing your client to sit for a few minutes and relax as problems are taken care of for them. No desperately seeking a wifi signal or worrying about having to sleep in an airport with small children in tow. As their travel agent, you can make sure your clients are never stranded or left in the lurch because, in a worst case scenario, you can always book them a new hotel and a driver to get them there. Your value as a travel agent is what you can offer that goes far above and beyond anything an automated booking service can do. It is your personal understanding of your clients, your ability to see the big picture and to respond to unexpected circumstances. Not to mention your ability to find hidden opportunities your clients will love. 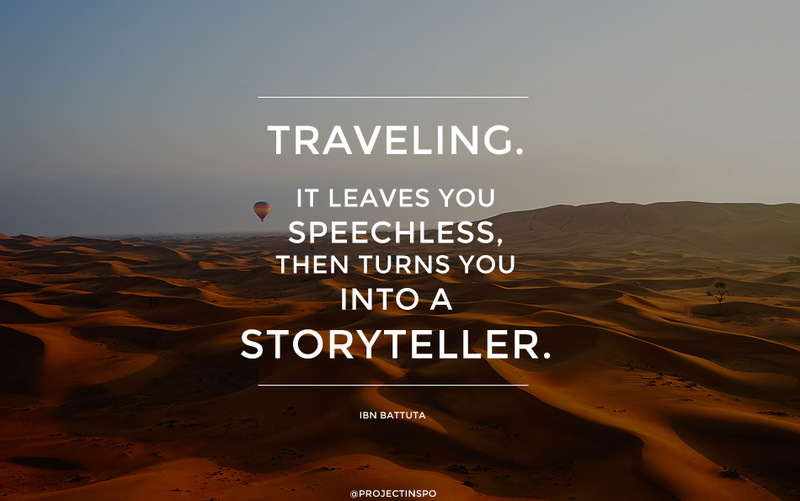 Remember this when dealing with clients and marketing your services and you will quickly build a following of delighted and devoted clients who can't imagine traveling without your expert human assistance. How can thinking like a travel agent transform your getaways into unforgettable adventures? We have some tips that may change your outlook on travel forever, all thanks to adopting an agent state-of-mind. Whether you are currently living the dream as a travel agent or it has long been your dream gig in retirement, it's just a fact that travel agents see creative possibilities in travel that might be missed or overlooked by others on the very same trip. To a travel agent, all corners of the world are open, just waiting to be explored. To be in an agent state-of-mind is to think outside the box, whether this means thinking beyond a cruise-line itinerary or off the beaten path entirely. Is this way of thinking all new to you? If so, read on for four steps on the journey to developing a new and refreshing view of travel. Whether in business or life, research has shown that stepping outside of your comfort zone can bring untold growth and development as a person. The key, according to a Harvard Business Review article, is finding a reliable (and not too scary) path from where you currently feel comfortable doing things that will help you grow. Travel is the perfect avenue for this: you are already, by design, leaving behind what is familiar and everyday to you, but you know it is a temporary condition and you aren't committing to the unknown forever. Experiencing new food, new people, different living conditions, and maybe even a new language expand your brain's ability to apply creative problem-solving, according to a University of Southern California Annenberg School professor. Once you have recognized the rich benefits of pushing beyond your zone of comfort, you will have a new resolve to make it happen. 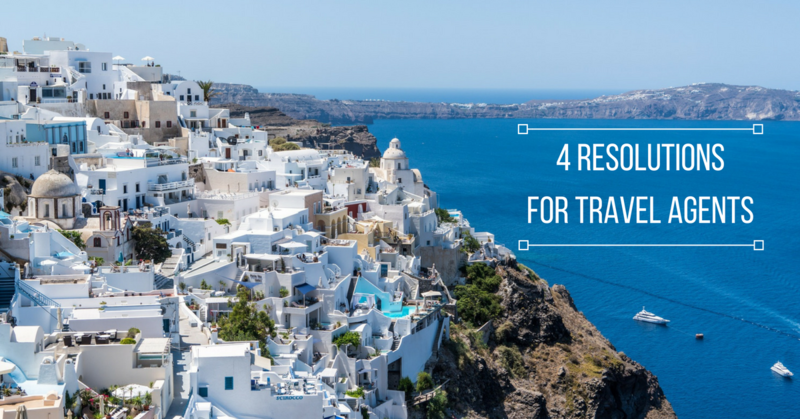 If you already have an appetite for travel, this may be the final push you need to really dig deep on your next trip to find the experiences you've always wanted to try. 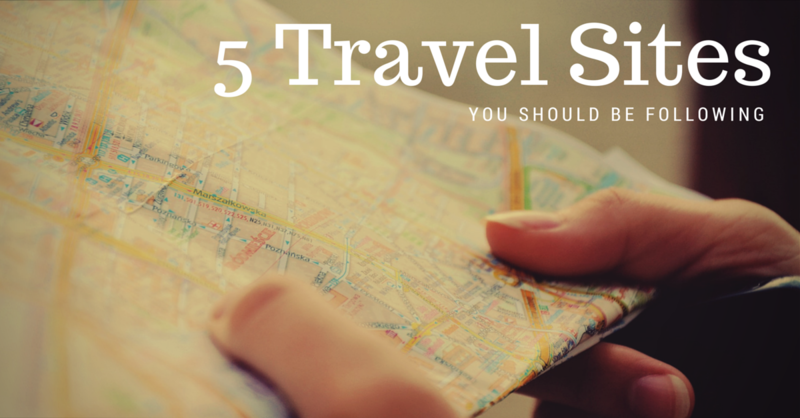 Read on for the second step of putting this into action while you travel. You can plan and plan for an amazing trip (which is great and certainly a key role of any competent and professional travel agent), but, ultimately, spontaneity is where the true magic lies. 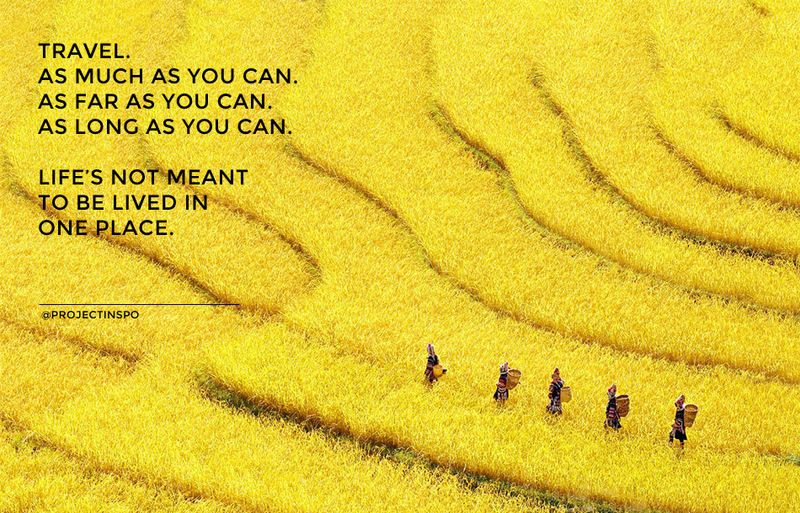 While you're on your trip, be willing to set aside carefully laid plans for something even more extraordinary. Where do the locals go for a good time or to really experience the character of their home? What are some overlooked places that actually have fascinating histories? What can I experience here that others may overlook because of a packed itinerary or something that seems a little too "real" for a tourist? Another critical part of thinking like an agent during your travels is to look beyond the pre-packaged and marketed idea of a place and value something a little deeper than that as you experience somewhere new. Tourism, although technically an experience, can very easily start to slip into what feels like a purchase of something rather than an authentic snapshot of what life is like in a new destination. To avoid this trap, think like a travel agent and value authentic experiences over a souvenir mentality. Spend more time outside on the streets of a historic city than inside a museum gift shop; strike up conversations with local store-owners, cab drivers, and restaurant waitstaff to understand what makes the people of this place tick. Ultimately, you will enrich yourself and others much more by valuing cultural connection, conversation, and observation over overwrought tours of must-see and greatest hits in the area. 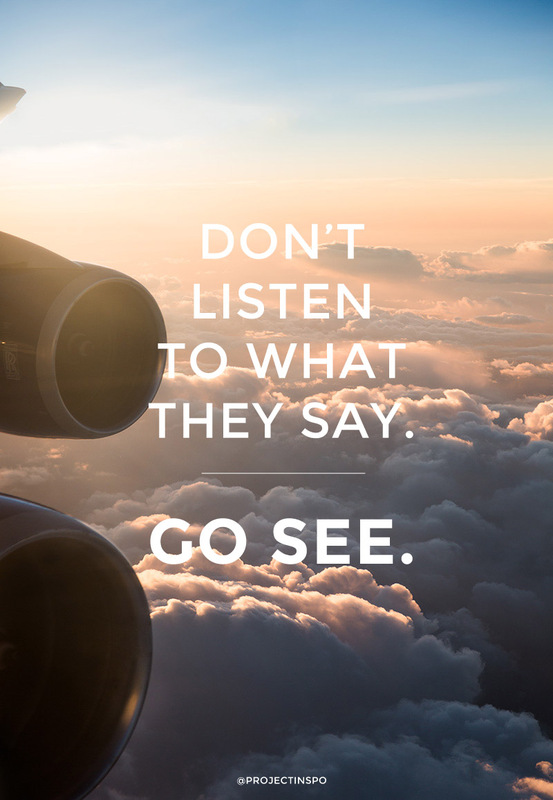 Don't keep your newfound sense of wonder and travel bliss to yourself! Spread the word to friends and family. Not only will this benefit them (trust us, they will be thanking you later for family trips that have suddenly become exciting and fun instead of monotonous and drama-filled), it will also help you savor the experience of travel all over again. You may even find yourself building a new clientele as people recognize you as an expert in seeing travel with fresh eyes--your dream of working as a footloose travel agent may be closer than you think! Host a travel-themed game night: The great thing about this idea is it can include all ages. There are many board games to choose from that include maps, travel strategy, or worldwide trivia that would be a perfect fit for this. You can share highlights of your trip in between rounds of game-playing, and demonstrate just how fun jumping into the world of limitless travel can be. Host a Taste of Your Travels Dinner with Pictures: Gone are the days of boring slide shows on a projector for what seems like hours of listening to someone else's ho-hum trip to Europe. Ditch the narrated slide deck and let pictures run in the background as your friends enjoy samples of food from wherever you just visited. A conversation will naturally flow about the trip and what new, exciting things you discovered without making your guests feel like a captive audience. Don't be surprised if you hear later that many of your friends are now planning their very own trips like yours (and remember that imitation is the sincerest form of flattery!). Need more help and resources? You can always turn to Outside Agent Link for resources, support, and ideas to maximize your approach to travel and ability to inspire and engage others in their own travel adventures. It's a sad and stress-riddled fact that Americans are not using enough of their vacation days. Many leave more than ten vacation days 'on the table' even when there is no year-end payout or roll over into the next year. The problem isn't that people don't want to vacation, they do. Instead, there are a number of other factors that push people toward working harder, for longer hours, and taking as few days off per year as possible. Maybe they want to cash out their days at the end of the year, or maybe their boss has simply pressured everyone to 'show dedication' by not taking any time off. But as a travel agent, dedication to your job means reminding people why we need vacations in the first place. In order to earn a living and follow your dream of bringing happiness to travelers, it's important to understand why fewer Americans are taking their vacation days and how to change their minds for their own health and happiness. Here are four approaches to help you remind your clients that they have earned those vacation days and have every right to enjoy them. Much of the resistance to taking vacation days is associated with a fear of losing income, showing a lack of work dedication, or leaving teammates in the lurch back at work. This has led both to fewer vacation days spent and, when the days are used, vacations that tend to be very short in duration. Usually, a professional will take a Friday or Monday off to get a long weekend and you can use this as your foot in the door. Even if your clients are only willing to take short vacations, they still have the option to really luxuriate during those days off. Encourage your clients to book a luxury hotel, take a few tours, or do something exciting and unusual any time they have some time off. In fact, they don't even need vacation days to enjoy a well-timed weekend getaway. And as a travel agent, you can promise they'll be rested and back in time for work. Another reason people are vacationing less is a concern about expense or travel hassle. They don't want to spend three hours of their precious vacation time on a plane or a large portion of their 'fun' budget on travel. But that doesn't mean they can't still enjoy all the delights of a fully booked vacation. The staycation trend celebrates enjoying your own home city, seeing the sights and finding activities that normally only visiting tourists enjoy. Embrace this and sell the idea to your clients that they don't have to travel to enjoy their weekends and vacation days. There are luxury hotels, attractions, museums, and seasonal events close to home that don't require a plane trip, car rental, or hours spent in transit. 3) Remind Clients of "Use it or Lose It"
Some people don't take their vacation days even when there's no financial benefit or roll over because they're afraid to leave work for long periods of time or seem undedicated to their job. But these professionals aren't being fair to themselves. Their PTO (paid time off) is part of their employment package, like health care and retirement contributions. Your clients have every right to use their vacation, especially if they have more to lose than to gain by leaving it unused. Remind your clients that if they have time off that is going to expire, they might as well start taking long weekends or plan for an extravagant winter holiday just before it times out. Finally, you can appeal to a reluctant client's sense of responsibility. While they may not want to take vacations for themselves, their romantic partners and children will wind up bearing the burden. When one person in the family refuses to take their vacation days, the entire family misses out. Whether it's date nights with their spouse or summer theme park trips for the little ones, remind your clients that their vacation days aren't just for them. They're to be spent with the ones they love. If they won't vacation on their own, they may be motivated to plan a vacation for their girlfriend, wife, husband, or little ones instead. And vacationing for a family is a great way to help a client justify spending a little time relaxing for their own benefit as well. For more great travel agent tips, contact us today! Checking a bag at the airport means more lines, a longer time waiting at baggage claim and sometimes lost bags. If you can, stick to only one carry-on bag for holiday travel. Be sure your bag fits into the carry-on guidelines for each airline so you don’t get saddled with excess or oversize fees. If traveling with young kids, give them a backpack for their carry-on as opposed to a roller bag, which could slow everyone down between flights. With all the people flying during the holiday season, lost or delayed luggage will be a possibility. If you are checking bags, be sure to also bring a carry-on bag full of essentials in the case your luggage arrives at your destination after you. Pack these important items in a carry-on before your flight: a toothbrush and toothpaste, travel pillow, snacks, a portable battery to charge your phone, a change of clothes and any medications. Gift boxes and presents are cumbersome to carry around in the airport and take up a lot of valuable space in luggage. With the high costs of checking a bag on most airlines and the possibility of damage, you’d be better off shipping gifts beforehand. Here’s a helpful list of shipping deadlines during the holidays. If you aren’t able to ship your presents, don’t wrap them before you arrive at your destination. Airport security will likely need to see inside boxes and bags and will remove the wrapping. This time of the year, airport parking is even more of a headache than normal. Not only do you have to pay the high price to leave your car while you’re away, finding a parking spot and waiting for the transport bus could make you late for your flight. Save money and time by finding a friend that can drive you to the airport, or use Uber or a local taxi service. Schedule the pick up at least two or three hours before your flight is set to board; better safe than sorry. Few things can put a damper on holiday cheer like a bad experience in the TSA line. This holiday season, TSA is rolling forward a new rule about electronics in carry-on bags. Browse the list of items that can and can’t be brought through the security checkpoint. While you’re on the site, consider signing up for TSA PreCheck, so you can get in shorter lines at security. Undoubtedly, over the course of your trip, you’ll collect gifts and other items to bring back home from family and friends. Don’t run into a space problem on your return flight. Throw an empty, compressible bag in your luggage to hold your new goodies for the trip home. If you receive any large items or an item that isn’t allowed on an airplane, have it shipped! While this might not be an option for everyone traveling this holiday season, traveling by train is a cheaper and less stressful option for some. You can find if Amtrak can take you to your destinations on their website here. Not only will you avoid clogged roadways and busy airports, your family will get to experience the beauty of traveling by train. Extra bonus, you can check two 50 lb bags for free with Amtrak in addition to your two carry-on items. If part of your holiday travel involves a road trip, plan to leave later in the day. Many families think heading out in the morning will help them avoid traffic and congested roadways. However, the roads will be much less crowded at night during the holiday season.Try to avoid leaving on the Wednesday before Thanksgiving and Christmas Eve, if possible, as these will be some of the busiest travel days of the year. Credit card fraud is rampant during the holiday season, and many banks will be keeping an extra eye out for unusual charges. To avoid having your card frozen while traveling, call your bank or inform them through their mobile app of the dates you’ll be traveling on and your destination. They’ll put a travel flag on your account so you won’t run into any problems with your card during your trip. Almost every group will have one individual or couple that takes charge in the planning process. Discuss with the members of the group to determine who will be your main point of contact throughout the entire process. This way, you won’t be calling 12 different people every time you confirm a reservation. Also, meetings between you and the client will be far more productive if not every member of the group needs to be there to make a decision. You’ll find that money will be one of the largest points of dissension among the group if a budget is not agreed upon right off the bat. Some individuals in the group may be fine with paying an extra $100 a night to stay in one hotel, while others would rather save that money to spend on new experiences during the trip. It’s essential that one of your first steps in planning be getting every member to agree on a certain price range for the entire trip to stay within. This will allow you to book lodging, transportation and other activities that every group member will feel comfortable participating in. As a travel agent, you undoubtedly know the importance of booking a few restaurant reservations for your clients before their trips. However, when the size of the reservation goes from a family of four to a group of 12 adults, unplanned restaurant outings turn from an exciting night out into long waits and hungry, grumpy travelers. Some restaurants may be unable to accommodate such a large party, while others may give you a heads up about an extra charge for serving large groups. If you’re going overseas, keep in mind that some establishments will be cash-only, too. When traveling in a large group, it will be impossible for everyone to see and do everything they hoped to during their trip. One couple may be more adventurous and want to spend the afternoon hiking in nearby mountains. Another may be hoping to spend hours shopping their way through the city. As you plan the group’s trip, make sure you’re allowing for a large chunk of free time almost every day. That way each member of the group will be able to plan his or her own outings for the day before coming back together in the evening. After nine hours in a stuffy airplane, you’ll find that changing clothes can do wonders to refresh your mind and body. Even if you’re flying in the dog days of summer, make sure to pack at least one pair of socks and a sweater. Airplanes will be cold, even if your overhead vent is turned off. For your in-flight outfit, compression gear is a good choice to keep your blood flowing and also keep you warm. About an hour before landing, change into your destination outfit so you’re fresh and energized once the plane lands. Water is the key to a successful long flight. It’s essential to drink plenty of water the day before, the day of and after your international flight. Staying hydrated while flying also means avoiding alcohol. In fact, drinking on a long flight will only serve to make the experience less comfortable for you by dehydrating your body and messing with your sleep. Pass up on the Jack and Coke and get a glass of ice water each time the flight attendant comes around. All that water you're drinking will mean more bathroom breaks, giving you the added bonus of more opportunities to stretch your legs. Most international flights offer in-flight entertainment in the back of the seat in front of you. Watching the newest comedy or action blockbuster is a great way to pass the hours, but that can only happen if you have a set of headphones. To fully immerse yourself in the movie and forget your cramped, noisy surroundings, opt for a pair of noise-canceling headphones. That way, the screaming of the baby eight rows back doesn’t work its way into the movie’s main action sequence. In-flight food often tastes more like a frozen TV dinner than most people prefer, but avoiding food entirely for international flights will only make you hangry (hungry + angry) when you land at your destination. Even if you plan to eat the meals provided by the airlines, pack some healthy snacks for the time between meals. Fruits and nuts make excellent, fiber-rich snacking that will keep your digestive system happy. Try to avoid packing food that is heavy in carbs to avoid adding to the bloatedness that already comes from flying. Eye masks and earplugs are necessities. Most people’s major complaint after an international flight is how poorly they slept. Before you get to the airport, purchase an eye mask and pack of soft earplugs. Although the pilot will likely dim the overhead lights when you should be sleeping, people are still going to have their overhead lights on and windows open. An eye mask will block out the light and help you zone out of your surroundings. Ear plugs silence the various noises around you and keep you from waking up every time someone hits the flight attendant call button. Your clients aren’t coming to you to buy a car; they’re there to get help planning their dream vacation. However, if they come in and feel like they're being talked at instead of listened to and engaged with, they probably won’t come back. Yes, sales talk will work its way into your discussion, but if you’ve spent time learning what the client is looking for and asking them questions, it will work itself into the conversation much more naturally and successfully. Also, this conversation shouldn’t stop after your client’s trip is over. Reach out to them and ask for feedback on how it went and what you can do better for them in the future. 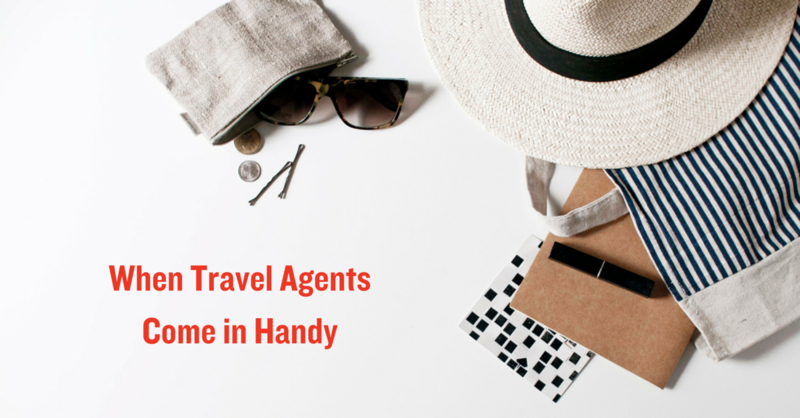 A major advantage independent travel agents have over those big travel websites is the ability to pick up the phone when a client calls you with an emergency. Let your client know once the trip is booked, you are still there for them to answer questions or find solutions to unexpected situations. This may mean waking up in late at night to find a client a new flight when the first one gets delayed or quickly responding to a Facebook message with a list of doctor’s offices near your client's hotel. Being reachable via phone, email and social media gives peace of mind to your clients and shows them you care about the quality of their trip even after you’ve been paid. Every independent travel agent offers a unique set of knowledge and experiences that they’ve gained during their career. Sharing these stories with clients shows them you care about your job for more than just a paycheck. 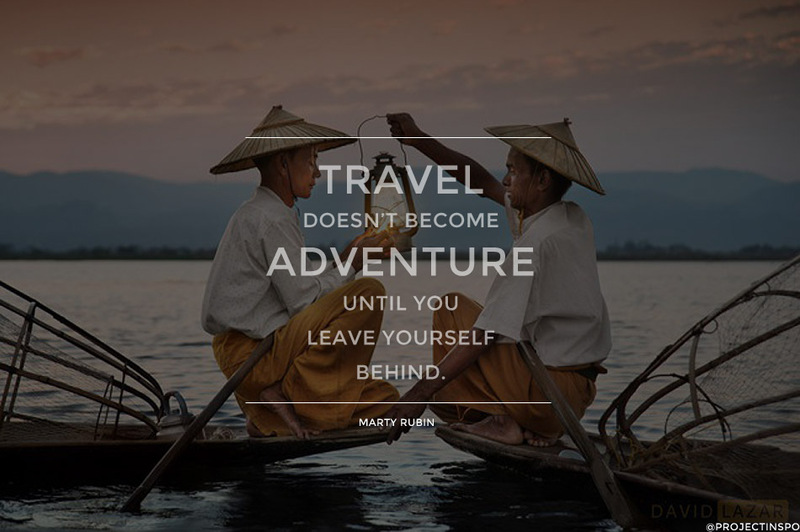 Include a bio on your website explaining what drew you to a career as an independent travel agent and why you love fulfilling other’s travel dreams. When meeting with clients, don’t be afraid to let them know if you’ve traveled to their planned destination and what you loved about the experience. These personal touches can work the other way as well. Ask clients what means of communication they prefer and when they want to contacted. If a client has a large family, tell them about the best family-friendly activities, tours and restaurants in the area they’re staying. 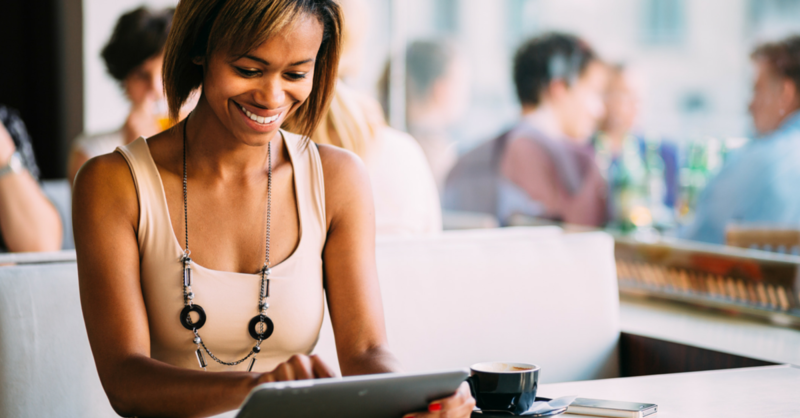 Personalization is crucial to lasting client-agent relationships. You worked hard to get those clients who come back to you for all their travel needs. Now, be sure they know you appreciate them and want to continue working with them in the future. Whether offering loyalty programs or even taking them out to dinner after they return from a big trip, remind these clients that they are special to you. Never assume you’re entitled to their business and no longer need to work on that relationship. You can find more success from a strong base of loyal clients than dozens of new ones. In fact, statistics from Gartner, Inc. say that 80% of your company’s future revenue will come from just 20% of your existing customers. Keep this in mind and nurture your existing relationships so those loyal clients keep coming back vacation after vacation. Building genuine relationships with your clients is rewarding for everyone involved. It allows clients’ needs to be better met and also keeps them coming back to you for future travels. Independent travel agents who put in the extra work to grow these relationships will find they have a more successful and fulfilling career! Creating your travel agent company name can be hard and you’re probably wondering how to even come up with a good name. Below you’ll find a few tricks that may just help you come up with the next best name in the industry! 1. Look to see what other companies in the industry are named. You don’t want to copy any of their names, but this gives you a good opportunity to see some examples of good company names (and in some cases bad ones as well). Take note of some of the names that stand out to you and ask yourself why they stand out. 2. Think about your target audience and your brand. Jot down all of the words that come to mind when you think of your target audience. For example, are you planning trips for families? If so, you could write down words like, “family fun”, “kid activities” or “family bonding”. After you’ve brainstormed some words that describe your target audience and their desires, think about your brand. What is your brand? In other words, who are you? Who do you want to be? How do you want people to perceive you? The words you write down during this brainstorming session may never make it to the final company name, but it helps you get your creative juices flowing and allows you to focus on the important aspects of your company. 3. Keep your name short and to the point. You want your name to be easy to say and easy to remember, so don’t come up with a 4-word company name or try to utilize extravagant wording that your average person will not understand. You also don’t want to use weird, different or extremely quirky spellings of words. For example, “business” spelled “biziness”. Your name is the first thing that potential customers will see, so you want it to easily give them clues to what your company does. 4. Have a meaning behind your name. The meaning behind your name doesn’t have to be spectacular, but it’s always great to have a connection to your name. You’ve worked hard to build your business, so why not have a name that strikes a nerve with you? The tips above are great starting points if you’re stuck in a naming rut, but as you fumble through the naming process add in your own brainstorming techniques. 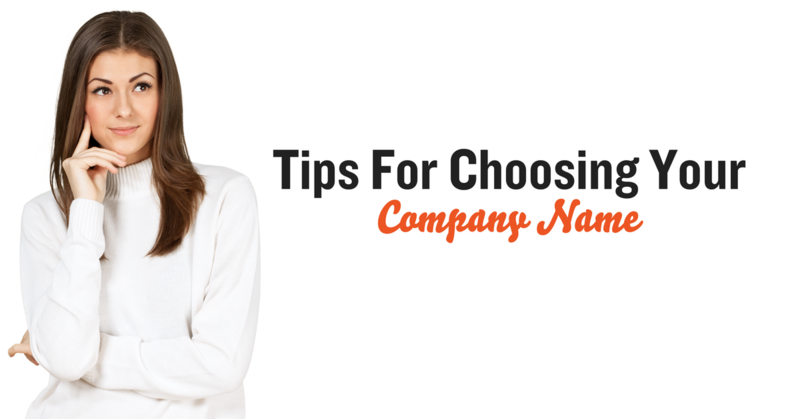 After all, naming your travel agent company is your choice and there are many different ways to come up with a name that fits you and your company. Many people operate under the false impression that being a travel agent is a dying career field. In reality, The American Society of Travel Agents says that 41% of Millennials used a travel advisor in the past year. The travel agent industry is growing every year, and more people are relying on our expertise and experience to book successful trips year after year. "We must be happy with who we serve, and the customer needs to be happy with who they work with. We no longer have anyone coming to us 'shopping' for a trip, or price- instead, we have an engagement together with a full review with the client with clarity to avoid any disappointment." “I have been associated with Travel Leaders, Thomas Hogan Travel in Myrtle Beach since the early ‘90’s. When I first joined this group I had little knowledge of the Travel business. With the information provided when you become an ‘outside agent’ you soon learn the rules of business and agency ethics. Now any job is not too big or too small to give the clients the attention that they deserve. I look forward to many years of the fine service that the employees of Thomas Hogan give to their outside agents. My website at the “outsideagentlink.com”, gives my clients a place to make contact with me in a professional manner that gives them confidence in my ability to give them good service as a travel agent." 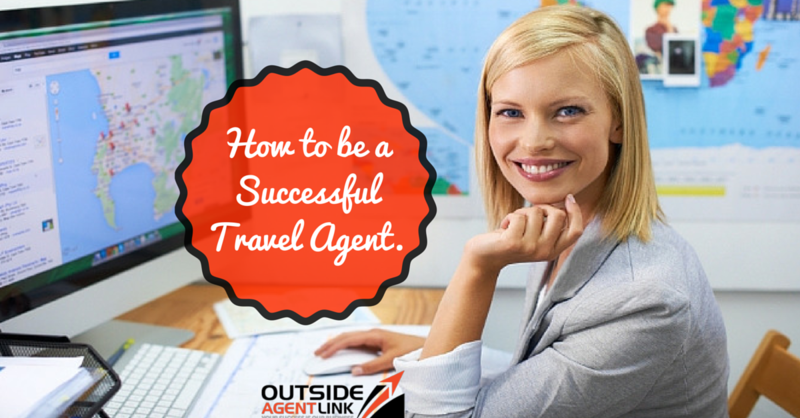 Learn more about what it takes to start your travel agent business and get started on your dream job! Summer is in full swing, but if you haven’t planned your getaway yet, there’s a number of great places to see without breaking your budget. July is a great time to visit countries in the southern hemispheres, as they’re experiencing cooler temperatures than most of the US. When it comes to romance, few cities are better to visit than Tuscany in Italy. Think of it as date night at your favorite Italian restaurant on a much larger scale. July is the best time to visit, as it is nice and warm, which means the perfect weather for taking a vineyard tour, shopping, or lounging poolside at your rented villa. News of the Brexit vote means that travel to the UK from the US has become a bit more affordable. The great thing about going to Wales is that it is chock full of adventurous activities, like zip lining, hiking, surfing, and rock climbing (to name a few). If you like festivals, Cardiff hosts a great international food & drink festival in mid-July that allows you to get a true taste of the Motherland. Like much of the US, most of the citizens of Helsinki go on vacation in July, meaning that the city is much more affordable, and it feels a lot more private than other times of the year. Attractions include architecture museums, design studios, and more! Come hungry, because Helsinki is revolutionizing Nordic cuisine. As our hundreds of independent travel agents can attest, this is simply not true. According to the American Association of Travel Agents, agents sell 51% of airline tickets, 87% of cruises, and 81% of tours and packages for travel. 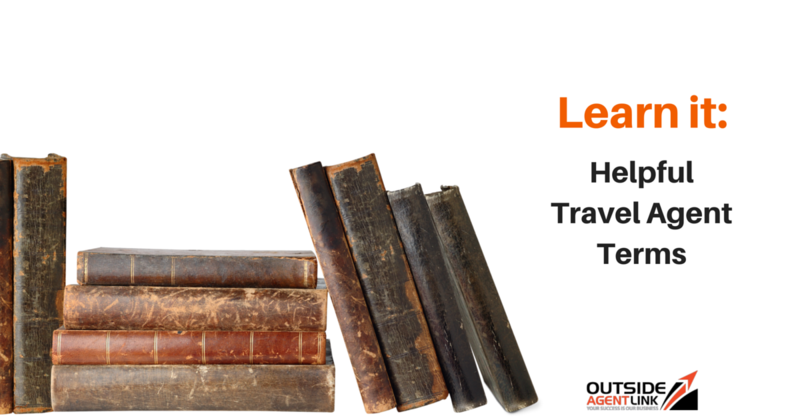 Travel agents are still both relevant and effective in the travel industry! Myth: I Can Book All My Travel Myself For Cheaper. Have you ever tried to book a family vacation to Paris without ever having been there? There are so many factors that go into planning a big vacation like that: where will you stay? What will you see? Where will you eat? What’s a good price to pay for airfare? Travel agents handle the details so you have the best vacation possible. So it may be true that you can get cheaper baseline tickets to things, but travel agents have the inside track to getting upgrades, perks, and packages that are sometimes based on vendor-agent relationships (that you’re not likely to find online). Like doctors and lawyers, travel agents all have a base line of experience and training, but many of them choose to specialize in different locations or vacation types. When you’re looking to book a family trip, find an agent who specializes in that kind of travel (rather than, say, a business travel agent). Always make sure you’re doing business with an agent who has proper training and good connections like all of our OAL agents. As you may have guess from the aforementioned statistics, travel agents can arrange a whole slew of services besides just flights and hotels. They can also arrange car rentals, personalized tours and experiences, restaurant reservations and recommendations, and package deals in addition to being a great resource for knowing what sites to see and which to skip, what area of town is safe to stay in, and other insider info. The main reason people use a travel agent instead of one of those online booking sites is because they want to interact with an actual human being. Avoid being overly promotional; no one likes to feel like they’re being taken advantage of. Take the time to get to know your clients and what they’re interested in and be excited for them and their trip. Build relationships with your clients and they’ll return to you for years to come. Everyone likes to feel special. Rather than going for a one-size-fits-all approach, attempt to personalize each client’s experience. Different personalities dictate different ways to interacting with people and how you plan their trip. Really get to know your client and go the extra mile to ensure you’re finding them the perfect trip. You want your customers to think of you as someone they can count on to have their best interests at heart. Get information to them in a timely fashion, and ensure that the information you’re giving them is accurate and up-to-date. When problems arise, be proactive and find a solution as soon as possible. You should be an advocate for your clients during times of stress or when things go wrong. Make them feel like they are in caring and competent hands and find a solution that is as beneficial as possible. Remember, the happier you can make people, the more likely they are to return to you in the future. Think of the long term, rather than just the immediate sale, and emphasize building a long term and sustainable client base. Ready to get started with your travel agent business? Learn about our programs and how you can earn up to 80% commission! Our sister company, Thomas Hogan Vacations, is no stranger to helping out stranded travelers, and this week was no different. Due to Winter Storm Jonas, we had clients seemingly stuck in San Juan, Puerto Rico (because their travel took them through Charlotte, NC). They were told that all flights were canceled and the airlines weren't going to be able to rebook them for another three days. Naturally, they called our agents. Krissi and Ashley got to work immediately and worked until 9pm that night to get all Thomas Hogan clients rerouted home. All passengers were home or stateside on their originally-scheduled night. This is just one of many, many examples we have of travel agents coming to the rescue of their valued clients. Airlines can't always do a lot to help you, so it's important that you have a travel advocate and expert on your side. If you're thinking about becoming a travel agent, this is the kind of customer service and extra attention it takes to compete in this market. It's not just about low fares. People want to know that they have someone on their side to help out when things go wrong. And if you are shopping for a host agency, these are the people you want training and supporting you! Are you ready to become an independent travel agent with loyal clients like Thomas Hogan Vacations'? We're the host agency you want! There are over 4,000 independent travel agents associated with Travel Leaders across the nation. That's a pretty amazing potential network of agents you can tap for expertise requests, partnership opportunities and more. Travel Leaders has an amazing reputation for agents with impeccaable customer service records, as well as personalized travel planning. Taking a custom approach is something all clients appreciate. Travel Leaders has been awarded with 65 prestigious travel industry awards since 2009. That's more than 10 per year to date! You don't need to worry that you're not a marketing guru. Travel Leaders and Outside Agent Link sets you up with marketing - including a website and email marketing - to help you find clients for your burgeoning business (or help clients find you). Travel Leaders also has several tools on its site to aid potential clients in finding your agency once you're listed! You can choose to specialize in a "travel interest" as well (such as destination weddings, eco-adventure, and more) so that your clientele and business stay more niche. Independent travel agents tell us all the time: Canada is underrated. Some people love to poke fun at the Mounties or call the nation "America's Hat." 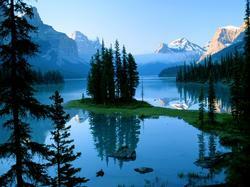 But the fact is that there is not only a lot to do in Canada, its serene beauty is awe-inspiring. 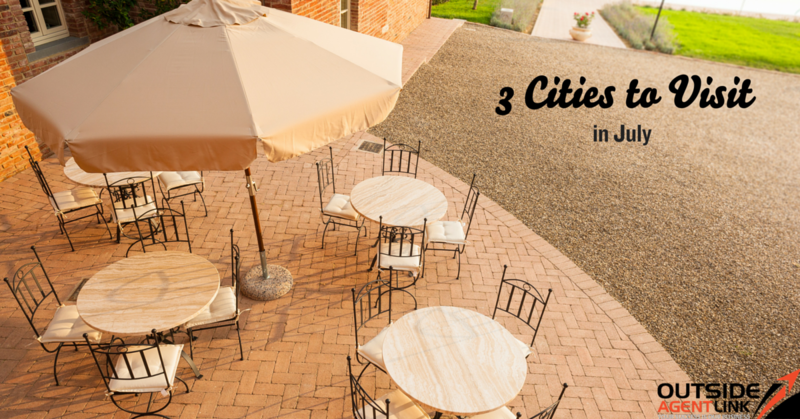 Here are a few places we think your clients would love to visit - from nature lovers to urban aficionados. This festival is the perfect outing: gorgeous flowers, artists in the gardens, a Royal Tea Party and more! The Urban Wineries Tour goes from Niagra and back in the spring and summer. Spend 4-5 hours sipping on delicious Canadian wines of all kinds (just make sure you take a cab back to your hotel). Got other suggestions for visiting Canada in the spring? Tweet us: @OAgentLink! You know what they say: referrals are the best marketing. Therefore, send your loyal clients an email and ask them to share their great adventures with friends. Encourage them to forward the email to friends. Maybe you give them an incentive to share, maybe you give the recipients incentive as well. You can try free upgrades or deals if some of the vendors you use run holiday promotions anyway. If you think it's too much to ask someone to forward a marketing email, ask for testimonials from your current clients and put them on your social media accounts and website to add more legitimacy and authority to your site. Social media is buzzing this time of year with deals and articles and people reaching out to each other. Stay top-of-mind by updating your Facebook page with relevant travel information and specials. Encourage people to think outside the box with their gift-giving and plan a trip instead of buying things! Your website is an invaluable tool. People need to find you and your differentiators quickly and easily on search engines. A great way to ensure your content is always fresh on your site is to start a blog. You can write about places you've been or places you've sent clients (that they loved); you can also write about what to do in different regions and what to avoid. It's a great resource for your clients, but helps new people find your business as well. 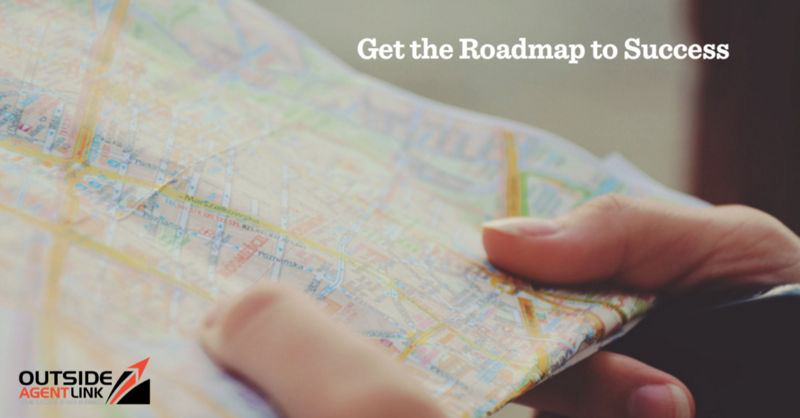 You can start 2016 off with a bang by having a full-fledge content strategy with a blog. Got more ideas for holiday marketing? Tweet them to us @oagentlink! Arriving at a destination without your luggage is an awful way to start your vacation and your customer deserves better. Travel insurance can reimburse for the replacement of essential items and turn around the bad beginning! If clients have an accident or become seriously ill and are unable to fly home via normal airline service back to the United States, this can cost tens of thousands of dollars. Travel insurance, however, can help cover the costs when your client's healthcare provider won't. You want your customers to be healthy and happy on their vacation. That's the key to repeat business. No matter where your customers are, your clients can contact the insurer's travel assistance services to help them easily locate a pharmacy to purchase the medicine they need. When times get rough, companies can file for bankruptcy without notice. History proves this can happen even to highly popular, veteran travel companies. 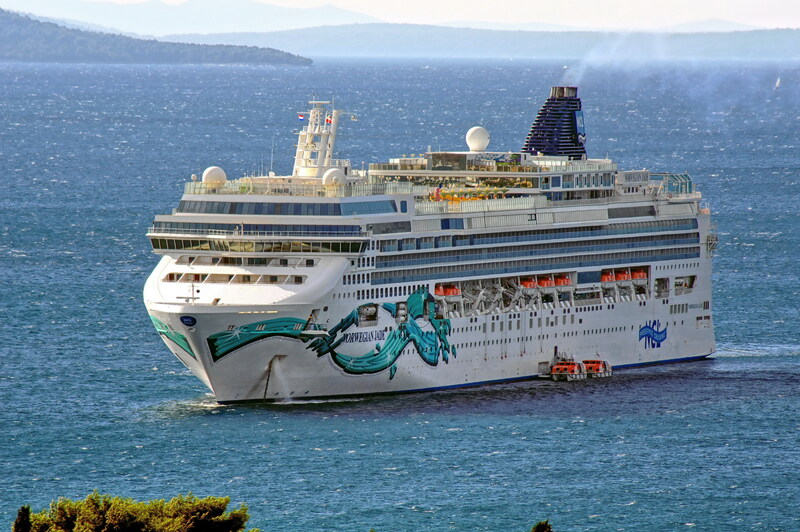 Travel insurance can pay back pre-paid expenses if a cruise line, airline or tour operator goes out of business, which is great for an unpredictable economy. A refund isn't really a refund unless you can spend it anywhere you want on whatever you want. It's too bad that when something goes wrong, airlines and cruise lines usually only issue credit vouchers with lots of stipulations. Travel insurance, on the other hand, can get your customers their money back. It's the best way to protect the client's valuable investment and assure that even if this vacation doesn't go as planned, they'll soon be planning another one with the help of you, their invaluable travel agent. "The best advice I ever received was from my first accountant when I was discussing the launch of my company," says Rotman, founder of ad agency MODCo, which has clients like Vera Wang, True Religion, and Tory Burch. "We were speaking about my business plan and how much money to borrow to launch. She wisely said, 'Only have enough cash on hand to barely survive; never so much that you are comfortable. It's important to stay scared in the beginning.'" You can't be afraid to ask for help. No one knows it all, but you're not going to learn anything without asking questions. We love this advice because as business owners, we tend to overcomplicate things. Often the simplest answer is the one that gets the job done--and with the most efficiency. It's also the most effective way to communicate: simply. This one is from us! This is actually an old proverb that emphasizes the importance of surrounding yourself with the right team. At Outside Agent Link, for example, we know that in order for our at-home travel agents to be successful, they have to have the right support and training. That's why we offer both consistently and for a lot less than our competitors. This is a trait that cannot be understated while working from home. 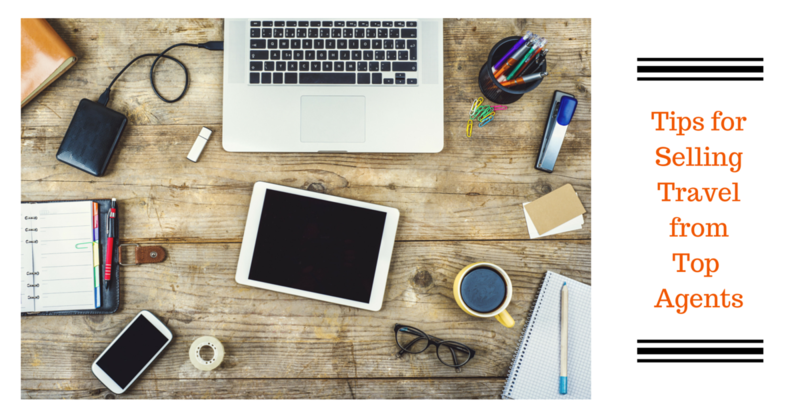 A successful work-from-home professional needs to be able to compartmentalize his or her time in order to maximize productivity. If you get easily distracted, often forget to finish assignments, or are a multi-tasker, you might need to brush up on your organization skills before committing to a full-time, work-from-home gig. Working from home can feel aimless without measurable goals in place and a strategy to achieve them. Therefore, being results-driven is the ultimate key to success. Make S.M.A.R.T goals (specific, measurable, achievable, results-focused, time-bound) and create a process for measuring your success and a timeline for how often you'll assess success. If you have these three qualities, or are willing to work on them, you are sure to be a great success working from home. But what are you going to do? Our independent travel agent programs might be a great fit for you; you can test it with this quick quiz. Best of all, book a Suite or The Haven and get all five offers for FREE! 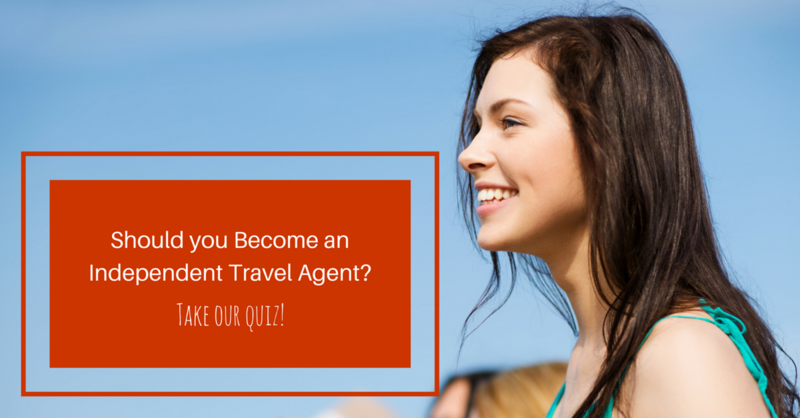 Think a Career as a Travel Agent Is Right for You? Take Our Quiz! 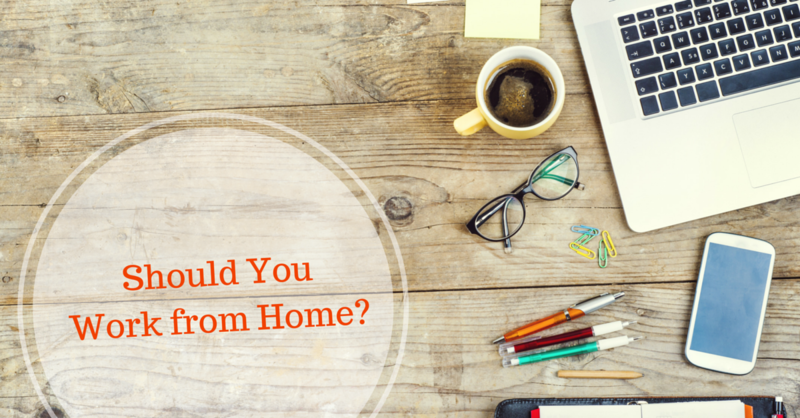 Being a home-based travel agent is a lot of fun, but it also requires a lot of hard work. Think you've got what it takes? Take our quiz below and find out! For each true answer, give yourself 3 points. For each false answer, give yourself 1 point. Give yourself the amount of points corresponding with your answers that begin with "On a scale of 1-10." 1. True or False: I'm a great communicator. 2. True or False: I'm good at managing my time independently. 3. On a scale of 1-10 (10 being best), how often do you try to learn new things? 4. True or False: I am a problem-solver. 5. True or False: I am a good negotiator. 6. True or False: I like serving others. 7. On a scale of 1-10 (10 being best), I like to keep up with new technology. 8. True or False: I am very organized. 9. True or False: I know how to network. 10. On a scale of 1-10 (10 being best), I am a people person. 0-21 points: You may make a good travel agent, but it is probably not your passion. 20-25 points: You will be a good travel agent, but it might require work on your organizational and people skills to optimize your chance of success. 26-40 points: You should definitely pursue a career as an independent travel agent. 41-51 points: What are you waiting for? This is your passion and it's time to take the next step! Here are some things that your travel agent wants you to know! --When booking, make sure you talk to your travel agent about potential weather in that area. For example, summer is hurricane season in the Caribbean and you may experience more rain than you want to on your trip. Your agent should be able to discuss with you the best times to visit (and book)! --If traveling to an international destination, be sure to brush up on your conversational language of that country or bring a digital translator. You don’t want to be stuck in a tiny town needing to use the restroom with no way to communicate, believe us. --Pre-booking your excursions can help you plan better for your trip – including budgeting and packing. If you’re more of a spontaneous type, ask your travel agent which excursions are the best and which you should avoid. --Know your safety options. Talk to your travel agent about any potential hazards at your stops. Your agent can speak to any of your concerns—from rip currents to crime. The moral of this article is: be prepared. Talk to your agent about any and all concerns and get his or her ideas on things to see and do. You don’t want to miss out on anything and your agent is your best guide! This may seem like a no-brainer in a sales role, but there are plenty of people out there who want to become independent travel agents who don’t know how to deal with people. The most successful travel agents are ones that make the client feel at ease and can convey trustworthiness. After all, many customers are taking your advice and flying around the world hoping that you know what you’re talking about! Opening the conversation (yes, even on the telephone) with a smile will start conversations out on the right foot. And if a client is late on a deposit, you can keep them off the defensive by simply being friendly. 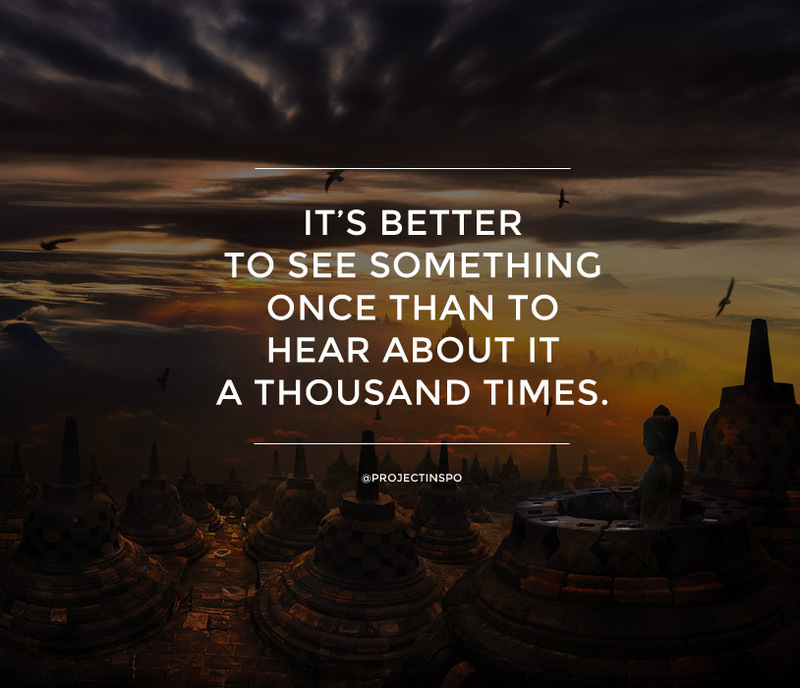 There is no such thing as knowing enough about travel. This world is a huge and sometimes daunting place. Many travel agents have an area of expertise, a place they’ve traveled many times and know like the back of their hand. But that doesn’t mean you shouldn’t be opening to trying new vendors, new destinations and new modes of transportation. Learning is the key to success and you will be able to bestow that knowledge on your clients, making their trips more seamless and less stressful. Using a travel agent is not mandatory anymore. Travel agents have to go beyond the pale to keep their clients coming back trip after trip—and sending their friends to you as well. The best travel agents are the ones who are willing to go to bat for their customers—especially when something goes awry. Don’t be afraid to get down and dirty with an airline or cruiseline that canceled your client’s trip. They won’t soon forget it. High Season - The time of year where this destination is most popular, when there may be a possible increase in price for rooms, tours and services. All-inclusive - This term can be used by travel agents to explain that the fare includes airfare and land accomodations. It may also be used by resorts to explain rates that include meals, entertainment and/or excursions. Baggage fees - All U.S. airlines except Southwest now charge baggage fees. Most clients may think they can avoid this by not checking baggage, but some airlines charge for carry-ons as well. It's best to familiarize yourself with these fees and inform your clients before they book their trip. Add-on fare - A transportation fee (such as bus or airfare) that may be appended to a client's itinerary to get him or her to the tour's departure city. Double Occupancy Rate - Hotels use this term to describe the rate per person based on two people staying in a room. Double Room Rate - Hotels use this term to describe the rate per room with two people staying in it. Travel insurance - Clients can purchase this through a tour operator or service provider so that they may receive a refund in the event that they need to cancel due to illness, baggage loss, etc. It is voluntary for a client to purchase this and may not be offered by some operators and vendors. Continental Breakfast - Cold breakfast items, such as milk, muffins, pastries, butter and jam. Now that you're equipped with knowledge about the more confusing terms, you're ready to sell to new clients and help them plan a trip of their dreams! It's hotter outside than it has been all year, so it's the perfect time to get creative with your DIY. If you're in the mood for a light, cool refreshment, then try making a frozen lemonade or root beer popsicle. If you prefer something with a little more punch, you can try a boozy milkshake. And for the less adventurous (but equally as thirsty), there's always the standby frozen margarita. Pleasure reading makes the world go 'round -- or at least your brain cells. It's been a leisurely summer, so don't forget to jump start your cognitive skills with some good reading. May we suggest: BossyPants by Tina Fey, The Sunlight Night by Rebecca Dinerstein and The Star Side of Bird Hill by Naomi Jackson. Nothing brings people together like a great theme party. Try something fun like a Roaring '20s Soiree, a Superhero Social or a Greaser Get-Together. All you need are some finger foods, great music and a signature cocktail to keep the party rolling into the hot summer night. Have you neglected your garden or yard this summer? Seeing patches of yellow from a dry spell or too many weeds from a Southern weather saturation? It's the perfect time to take back the yard and prepare it for cooler months ahead. Plus, gardening is proven to be therapeutic. Just don't forget your sunscreen! 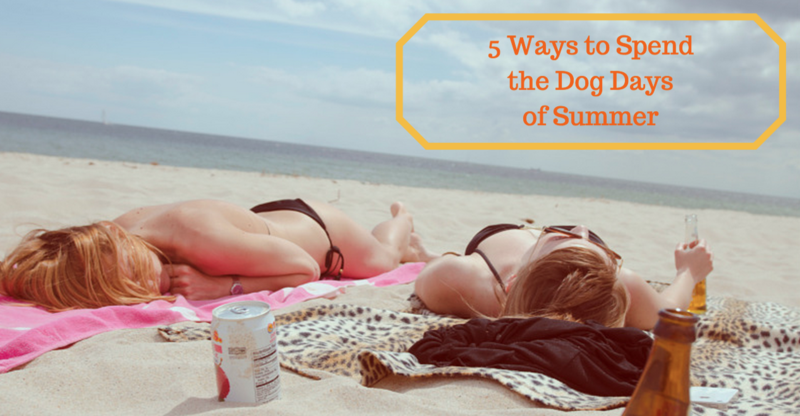 Dog days of summer are also built for something else: sleep and relaxation. If you want to just kick back in a hammock or on the beach with a friend, don't feel guilty. The cooler months are fast approaching so soak up that sun while you still have a chance! The business landscape is ever-changing with the constant influx of new technology, so it is very important that small business owners are able to adapt and change business processes to better aid their customers. Likewise, it's also important that they are able to ascertain if a new technology is something that will help or hinder a customer's experience, and how to tell if something is just a flash in the pan. When you think about it, this one is pretty easy to see. After all, going to work for yourself is not an easy feat. In order to go out on that limb alone, you have to possess a certain amount of confidence. And oftentimes, you have to "fake it 'til you make it." If you've got the confidence to go in the direction of your dreams, then you will be able to ask for the sale, and then the sky is the limit for you as a businessperson! The best small business owners are first and foremost natural (or seemingly natural) self-promoters. They make connections with people that influence their markets and industry. They take the first step to put themselves--and their companies--out there. It may seem like a daunting task, but this is a power you must possess (or teach yourself) in order to be successful. It is important to make connections seem organic and not just for your gain. Creating relationships are key to any business venture, especially when it comes to the customer. 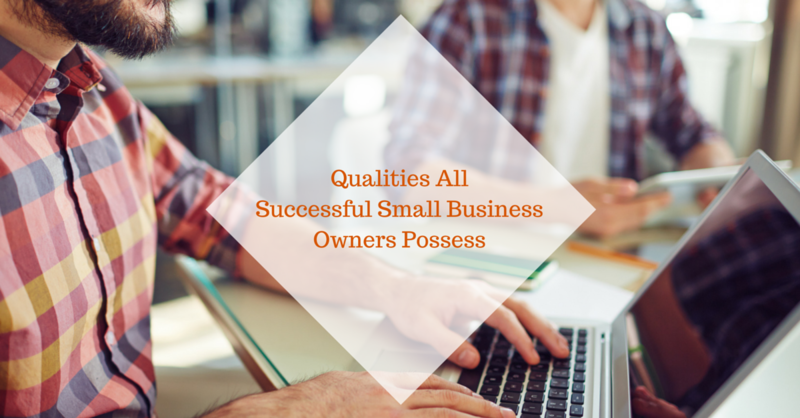 What other qualities do you think successful business owners possess? If you're traveling outside of the U.S., it's possible that you won't be able to use your electronics without a converter. However, some countries (especially in Europe) have varying types of outlet sources. Never fear; this all-in-one converter is the perfect solution. The Power Card is about as slim as a wallet and can charge your phone up to 60%. Since it's a USB, it can also be used for digital cameras, iPod, etc. It's rechargable, so it's the perfect thing to throw in your carry-on in case your game of Words with Friends has drained your device. Additionally, mophie has a battery charging phone case that will giv eyou 100% charge in minutes after switching it on. Never let the language barrier hold you back again (and don't worry about packing a bulky paperback dictionary). Go beyond asking where the bus station and the bathrooms are, too. With these electronic translators, you can fully communicate and learn more about where you are. There you have it! 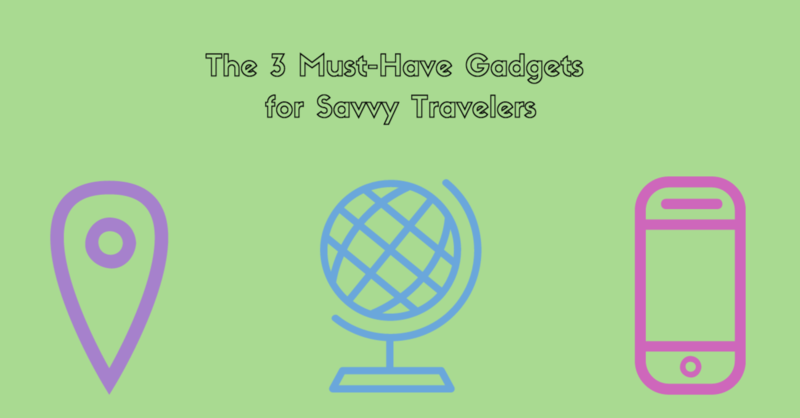 Our favorite three must-have travel gadgets. Did we miss yours? Tell us about it in the comments! Travel itself is a flexible industry. There are high seasons, where almost all of your clients will be looking for deals (summer holiday with the kids or grandkids, over the Christmas/New Years break), but there will also be down time. During this down time, you can do what you want: exploring ways to grow your business, spending time with family and friends or, of course, travel! 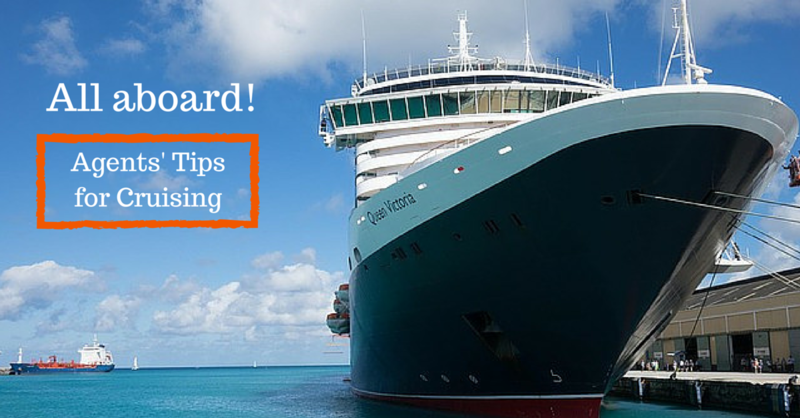 Becoming an independent travel agent gives you a few perks. With your newfound negotiating abilities and network of vendors, you will be able to take advantage of travel deals for yourself as well! You’re the boss. You answer only to your clients. So if you want to be available only on certain days or certain times, that’s your prerogative. Kids got a soccer game each Thursday afternoon? Be there without guilt! Husband earned a long weekend from his company? Take that Monday without fret! When you work from home and for yourself, you can be as flexible as you need. Much like making your own schedule, working from home allows you to have a work/life balance you may not have gotten before. Instead of spending an hour in the car on your daily commute, wasting your lunch hour at the water cooler or staring at the clock from 4-5pm, you can get what you need to get done quickly from home and carry on with your life. More efficiency, less stress. Like lots of sales job, the earning potential is limitless with hard work. At Outside Agent Link, our agents earn top commission in the travel industry—80%. Depending on how hard you want to work, you can sell group, corporate or individual travel and make a great living, providing for your family as the breadwinner or simply contributing more as a part-timer. Your earnings are really up to you! Helping people is a wonderful benefit of becoming an independent travel agent. And you’re not only helping them save time and money, but helping them to relax and have fun. There’s nothing better! Starting your own travel business gives you the unique and distinct pleasure of setting your own hours according to your schedule. The reasons to work from home are numerous. Maybe your spouse is in a job that relocates a lot, perhaps you’re a caregiver for an elderly family member or small child. Working from home can be the answer for many situations. In uncertain times, there’s no better reassurance than having a little extra money in the savings account. Becoming an independent travel agent with Outside Agent Link can allow you earn up to 80% commissions on the trips you book, the highest in the industry. Whether it’s your mother, grandfather or child, caregiving can be a full-time job and not allow you to explore many traditional 9-5 jobs. However, with the flexibility of schedule and working from home, starting a travel business from home could be just what you need to earn money while still focusing on your familial responsibilities. Outside Agent Link is the perfect fit for retirees, whether you used to work in the travel industry or not. Plus, it’s the perfect time for you to travel, so maybe you can put your extra income from the business into a fund to see the parts of the world you’ve been wanting to! The American workforce has changed in recent years. People are no longer entering a company and staying for 30 years. People are looking at their career paths as a "jungle gym” (to borrow a term from Sheryl Sandberg). 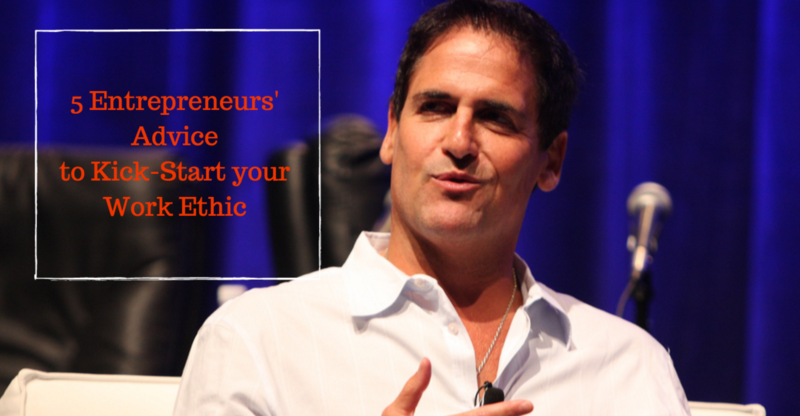 If it’s time to shake things up, this can be a great way to sharpen your entrepreneurial and sales skills, while maintaining clientele. You may fall in love with it or choose to move on, but you have shifted directions in a positive way and improved your marketability. The best reason to try something new is your work/life balance and happiness level. If you’re not happy at your current day job, you need to quit and find something that is fulfilling. Here are 5 signs you’re ready to quit your day job. What better reason do you need to become an independent travel agent? You can leverage connections and networks for your own vacations later—not to mention make extra money to add to the travel savings fund. Additionally, there may be discounts and promotions you have access to as a travel agent that average people would not. 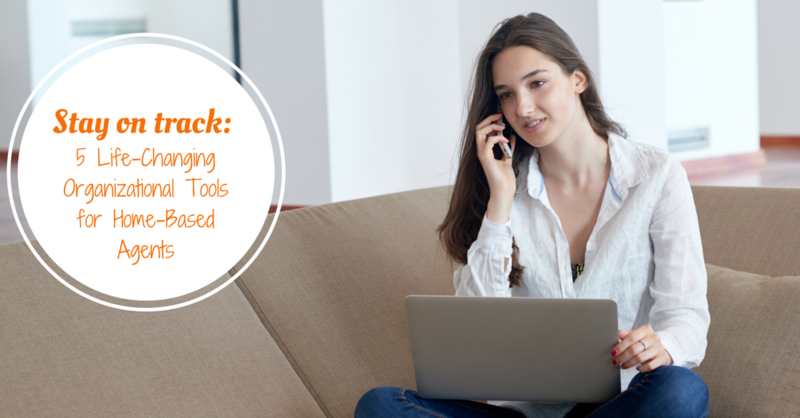 Being your own boss can be a daunting task, especially when thinking about the discipline it takes to work from home. But nothing worth doing is ever easy! So, if you’re ready to take the plunge and work for yourself, then becoming an independent travel agent could be the perfect career move. Respect is a huge motivator in our professional lives. We want it from our colleagues, our boss and even our families (in relation to what we do for a living). If you’re feeling disrespected in your line of work, chances are that you are at the wrong company or under the wrong direction. You want a job that challenges you to work hard, but one that is also rewarding as well. If you just read that headline and thought, "What’s a work/life balance?” it may be time to quit. Yes, your career is important, but so is your family, friends and personal wellbeing. In order to be professionally successful, you have to have some downtime. If you never take vacation, or even a weekend off, you won’t be able to enjoy the fruits of your labor, which could lead to regret later. The best jobs are the ones that excite you. Maybe not every task is thrilling (especially those time sheets, media plans or HR paperwork), but overall, you should be feel challenged and fulfilled. If you’re bored at work every day, chances are you aren’t living up to your full potential. Money is a huge factor when it comes to be satisfied with your job. If your present company isn’t paying you enough for the time you spend, and you have already requested more but to no avail, it might be time to change it up. Yes, this may be the most obvious, but if you’re thinking about quitting, you probably should’ve already quit! It’s never too late to get started on a new career path and to take control of your life. No job is perfect, but if you’re suffering from any of these professional woes, it may be time to quit and find a new path. If you’re passionate about travel, Outside Agent Link offers a way for you to work independently, and from home, with up to 80% commissions, with training and support available. The sun is shining, the birds are chirping. And you’re inside working. It can be hard to get motivated when you’re working from home and in an industry that requires client service, like travel. But don’t worry; we have three quick and easy ways to get motivated that you’ll love. That’s right! One way to help you get back to work is to, in fact, take a break from it. The important word here, though, is "active.” Don’t sit on the couch and get sucked into a Netflix marathon or a daytime soap opera. Instead, get outside and take a walk. Do some stretches or yoga in your living room. Put away the dishes and wipe down the counters. Set a timer for 15 minutes and get to breaking! Once your 15 minutes is up, don’t move onto another housework task. Sit back down at your computer and get to work. Music can be a huge motivator, especially if you’re sleepy. Some people do best when listening to songs they know and love. Others work best when there are no lyrics. Browse some new playlists on Pandora or Spotify and turn it up. Opening a window for some fresh breeze might be helpful as well. And if you need to stand up for a 30 second dance party, so be it! One surefire way to get motivated is to hear about other people doing great things. Try listening to "The Daily Boost” podcast, YouTube "commencement speeches” and choose some famous ones, or simply go to TED.org and view some talks you’re most interested in. You will love hearing the advice, the jokes and you will come away feeling inspired.